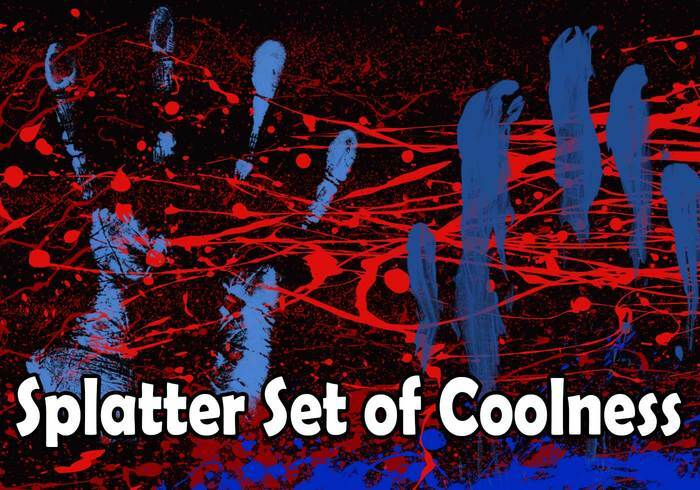 Splatter Sets of Coolness - Free Photoshop Brushes at Brusheezy! These are some cool splatter brushes. Most are long, drawn out splatters, but all can be useful in your designs. nice splatters. I was actually working on some finger brushes earlier today as well. Yours are really nice. Nice work.